Happy to Announce!! My newest book (hardcover, aprx 140 quilts included ) will ship in May! Pre-order your autographed copies from the author 😊 click here. So many thanks to you all, for these years of support! 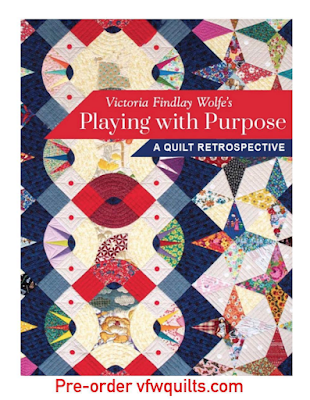 This book is essays and images of my quilts covering 35 years of making quilts. It’s been a fascinating journey to look back at my early quilts, where my focus changed, and where it came back strong. It’s so inspiring to look at your old work to see how far you’ve come. 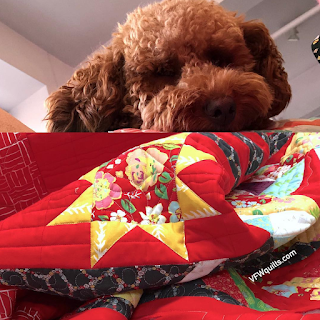 Each quilt along the way, has been a learning experience and feeds my soul with joy. Don’t forget to play with an open mind. Creativity flourishes when your expectations are open ended. My Industry Trade Show Schedule! Are you a Quilt Shop? Coming to Market? Transport yourself into Victoria Findlay Wolfe’s wonderful world of color. Bold, vibrant patterns of Stripes, subtle delight of Neutrals and colorful fun of Playmaker will certainly provide visual satisfaction. See my Newest Lines of Fabric, "Playmaker", "Neutrals" and "Stripes" collections. I'll be demoing little goodies, stop by and see, and receive! 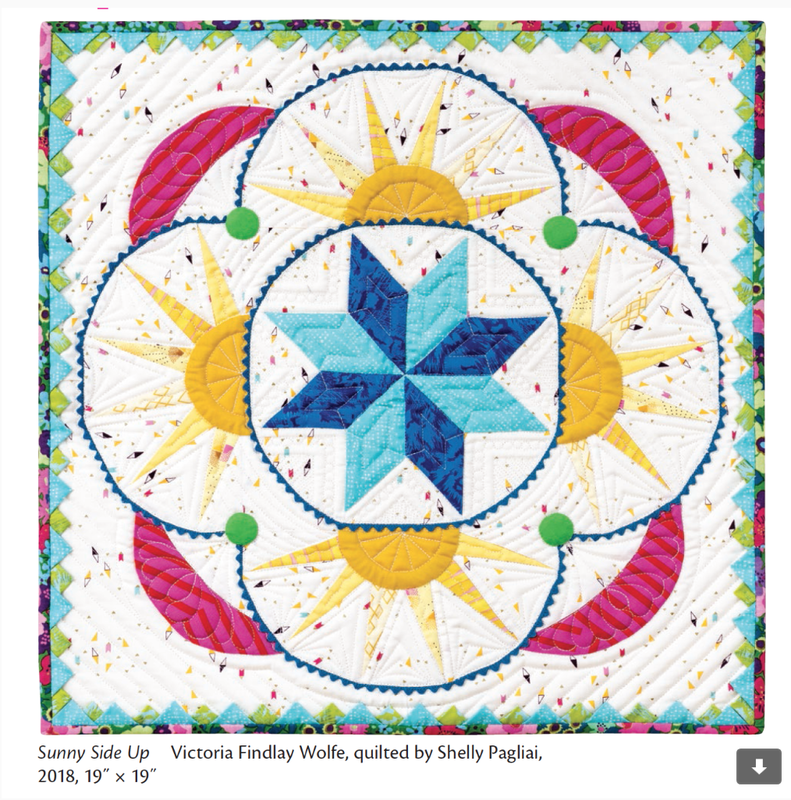 My "Sunny Side Up " quilt , in the IQA quilt Auction- Don't miss putting a bid in on my Auction quilt for IQA behind the front IQA booth! 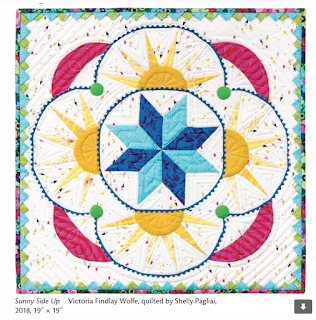 "Crowd Pleaser" quilt is hanging in the Red & White Quilt exhibit-and is included in the NEW Red & White book by Martingale.